A Dutch naval expedition is hoping to locate the wreck of a Dundee-based World War Two submarine more than 70 years after it disappeared. O-13, or Onderzeeboot 13, escaped from Holland during the German invasion in May 1940 to join the Royal Navy. The boat failed to return from a mission in the North Sea in June that year. 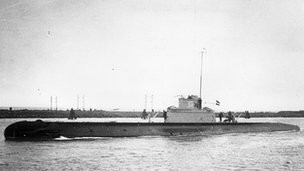 O-13 is the only Dutch submarine lost during the war which has not been located and given war grave status. The submarine initially served in the English Channel after joining the Royal Navy, where it helped protect the Dunkirk evacuation. It was then sent north to join the 9th Submarine Flotilla based at HMS Ambrose in Dundee. 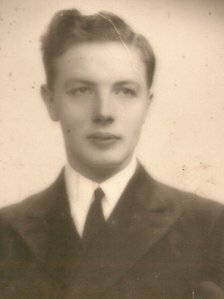 O-13 left the base on 12 June 1940, 24 hours after a message was sent from Norway suggesting the Germans were assembling a large force there to attack the east coast of Scotland. The crew were tasked to patrol the waters between Denmark and Norway should the Germans make a move. However, neither the submarine nor her 31 Dutch and three British crew were heard from again. * or the submarine passed through an enemy minefield which was only discovered in charts found in a captured U-boat in 1941. Researchers believe it is most likely that the submarine was destroyed by a mine. The Dutch Navy, in conjunction with North Sea oil and gas exploration firms, will mount a large-scale search for the wreck towards the end of September, concentrating on the area of the German minefield. O-13 and her crew are now commemorated at the annual Dundee International Submarine Memorial service. Among those who will attend the service at 11:00 on Saturday will be Mrs Gerda Veldhuis, daughter of Dutch crewman Cornelis Havenaar, and Cpt James Greswell, an Afghanistan veteran serving in 42 Commando, Royal Marines - the great nephew of British O-13 crewman Lt Brian Greswell.